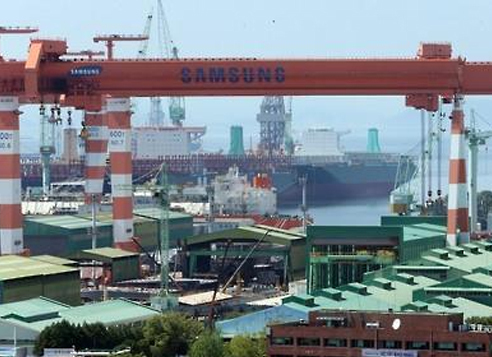 Samsung Heavy Industries Co., a major shipyard here, has clinched a deal to build two liquefied natural gas carriers with a local shipping firm, industry sources said Wednesday. Under the deal with Korea Line Corp., Samsung Heavy will build two LNG carriers that can carry 7,500 cubic meters of LNG each by May and December 2019, respectively, according to the sources. The value of the deal was not immediately revealed. The ships will be used to transport LNG between local ports, they said.